SAT>IP - WATCH LIVE SATELLITE TV DIRECTLY ON YOUR MOBILE DEVICE, LAPTOP, TABLET - UP TO 8 DEVICES! 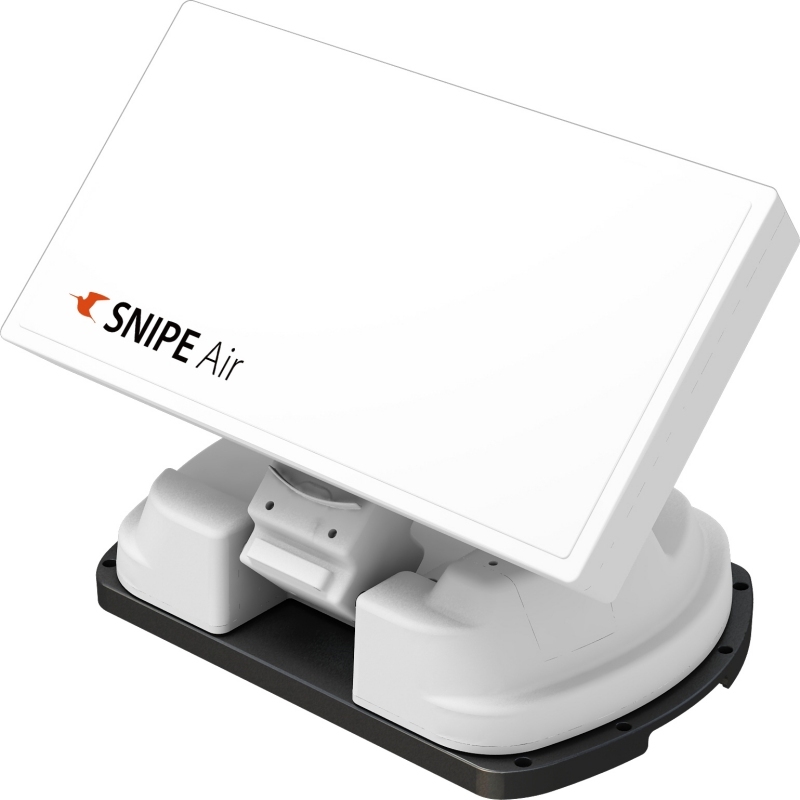 Selfsat Snipe AIR is a fully automatic flat satellite antenna with the latest built-in SAT>IP Wifi technology for wireless reception of satellite television on your laptop, mobile device, smartphone, tablet etc. The compact design of the SNIPE Air antenna means it takes up very little space and is ideal for mounting on the roof of a motorhome or caravan. Thanks to the integrated GPS module and electronically controlled drive the antenna aligns automatically at the touch of a button. The integrated wireless router provides the possibility of independantly watching satellite TV on up to 8 different devices like tablet, smartphone or laptop wirelessly over a radius of up to 80 metres. Despite its small size the Selfsat Snipe Air provides good reception due to its three-layer structure with wave guide horn array function. Horizontally and vertically polarized signals are routed separately and bundled on the LNB. The result: A strong signal to the LNB. Click the button below to add the Selfsat Snipe Air SAT>IP Wifi Automatic Flat Satellite Antenna to your wish list.